Victoria specialises in family provisions law, professional discipline related to legal practitioners and medical and allied health practitioners, child protection including international child abduction (involving the Hague Convention on Civil Aspects of International Child Abduction) and administrative law relating principally to Children’s Guardian matters. 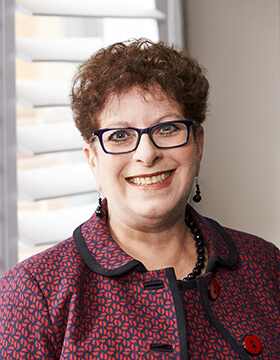 Victoria practised at the ACT Bar from 1976 to 1981 in general civil and family law areas, and in NSW from 1981 to 1985 in general civil areas involving both common law and equity. She then worked as a Crown Counsel in Hong Kong in the Attorney General’s Chambers from 1985 to 1995, for the first eight years conducting civil matters in courts and disciplinary tribunals, including the Hong Kong Court of Appeal and the Privy Council. She prosecuted commercial crime and appeared in the Hong Kong Court of Criminal Appeal from 1993 to 1994. Victoria has been practising at the NSW Bar in general civil areas since 1995. She regularly appears in the Family Provision List and is briefed extensively by the NSW Crown Solicitor and by the NSW Health Care Complaints Commission (HCCC). Victoria has always practised as a barrister. Although she was first admitted as a solicitor in NSW in 1976, she was admitted as a barrister in the ACT in 1976 and practised solely in that jurisdiction until 1978 when she was admitted as a barrister in NSW. She graduated from the Australian National University with an LLB (Honours) in 1976.